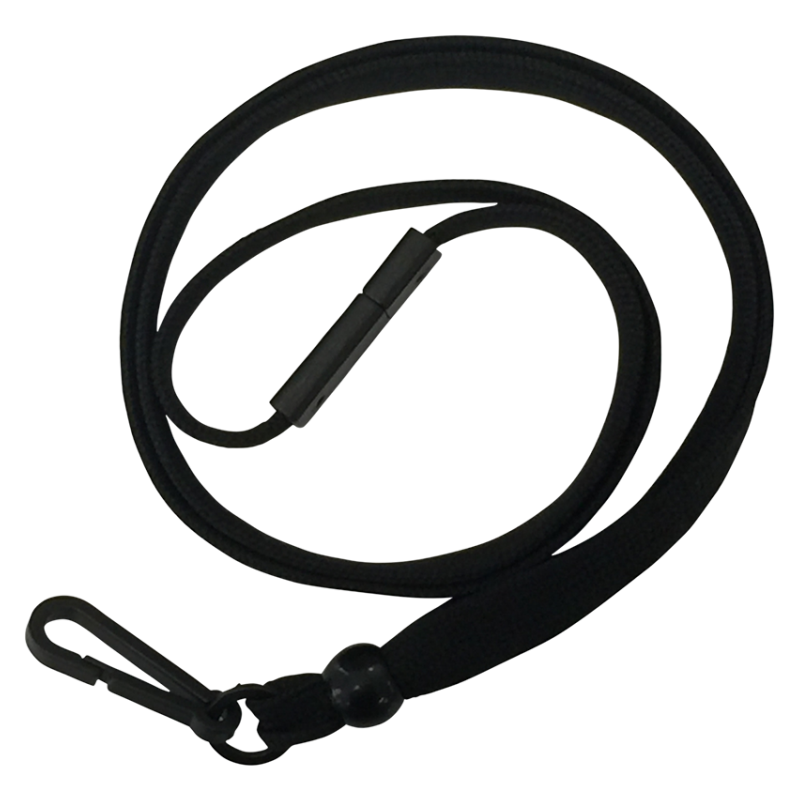 Prevent choking and other safety related hazards with our Breakway Landyards, designed to released when tugged on while providing easy access to your credentials. • 3/8" wide strap with plastic hook easily fastens to card or keys. • Breakway snaps apart when caught, snagged or entangled, making them them great around heavy machinery or ideal for office, school and industrial applications. 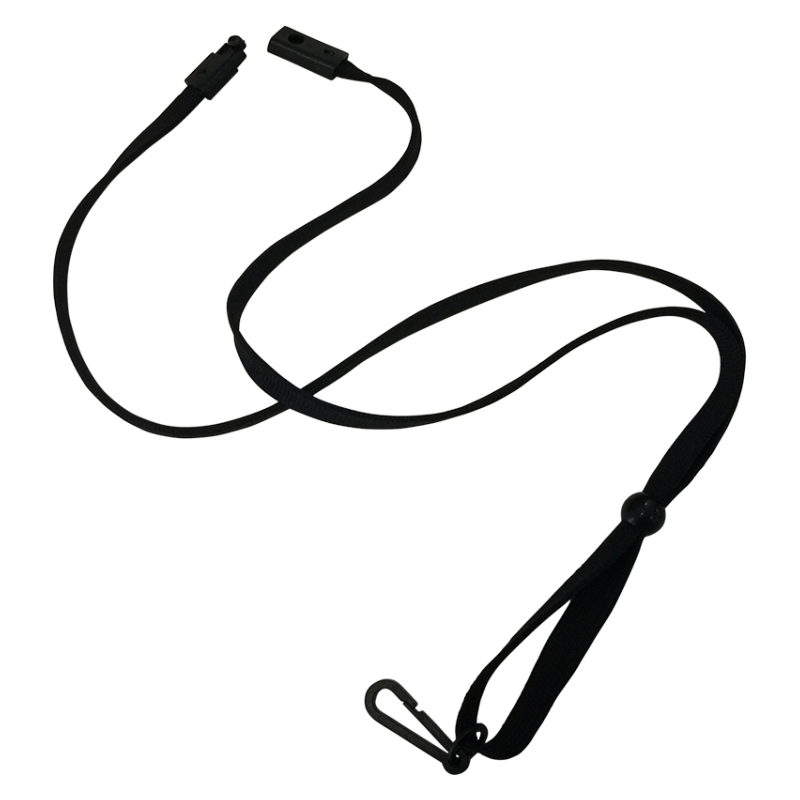 • Includes a slider ball to adjust the length of the lanyard, making them great to use for adults or children. 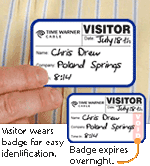 • Lanyards are 3/8" wide and made of flat woven nylon. 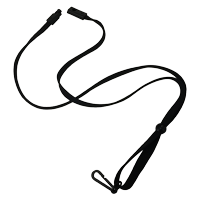 • The breakaway accessory is made of plastic with a detent button that locks the ends together until pulled. • Includes a plastic hook for fastening badges and a slider ball to adjust the length.